A piece with an impressive age, this lovely fragment is a window into the sixteenth century, with its lovely splay of blue lifework set against a lovely shade of gold. Beautiful and rare 16th Century Antique Spanish Cuenca Rug Fragment, Country of Origin: Spain, Circa Date: Sixteenth Century – Here is an absolutely remarkable antique rug – actually a fragment from an antique Spanish rug that was originally woven in that country during the sixteenth century. 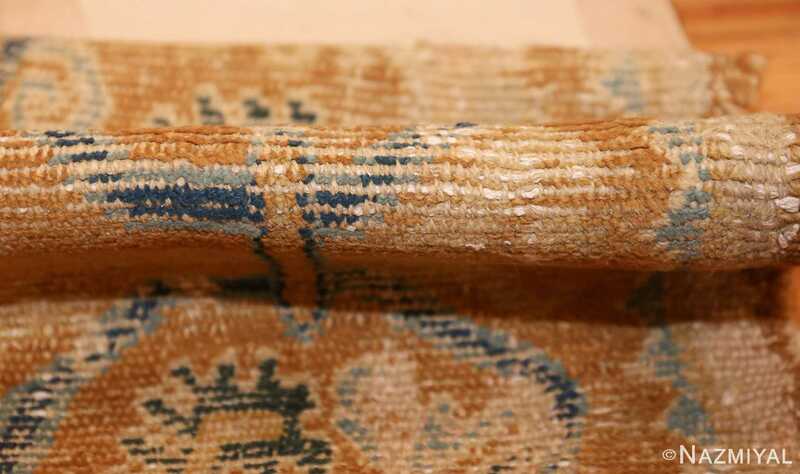 A piece with an impressive age, this lovely fragment is a window into the sixteenth century, with its lovely splay of blue lifework set against a lovely shade of gold. 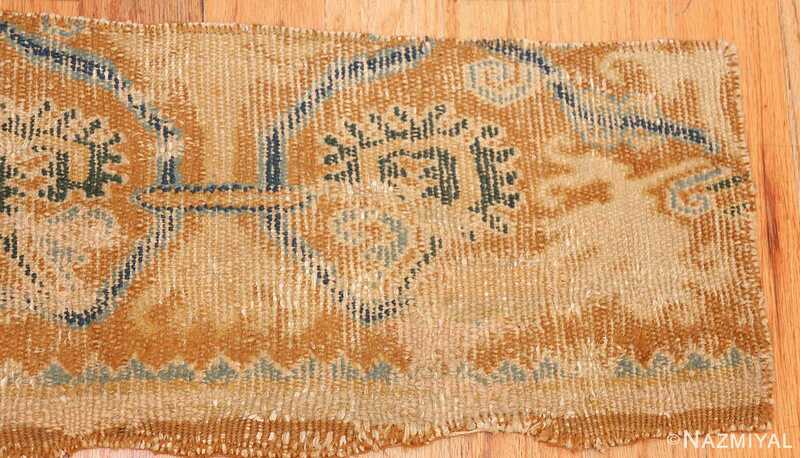 Despite surviving only as a fragment, this small antique Spanish Cuenca rug of art from sixteenth century Spain sheds quite a bit of light on the weaving techniques as well as the aesthetic preferences of a time long gone by. 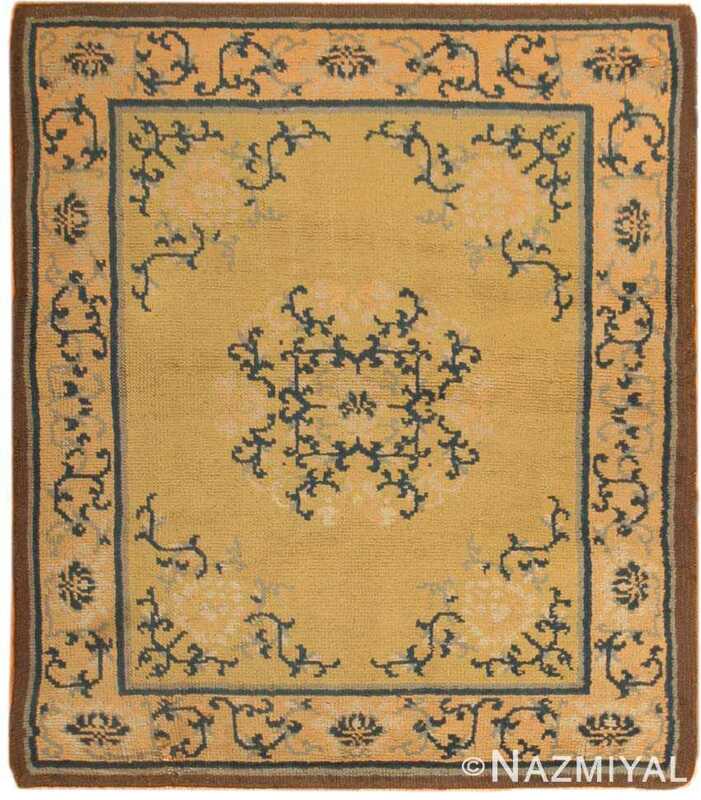 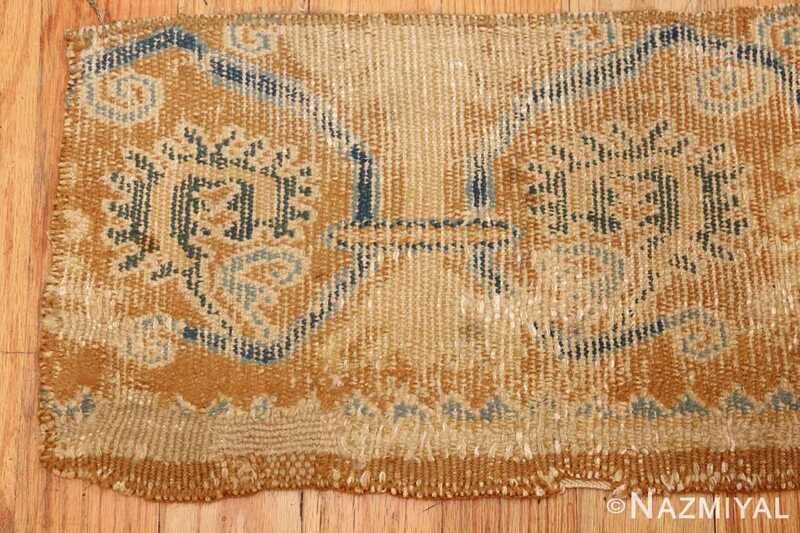 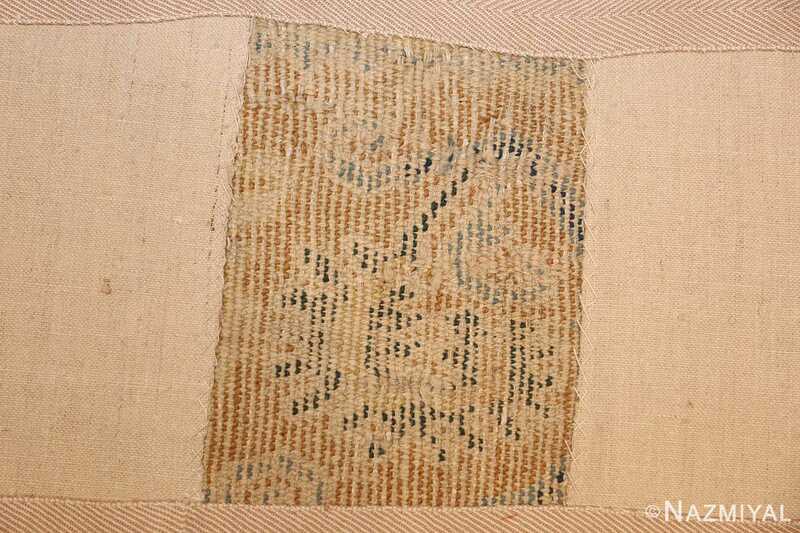 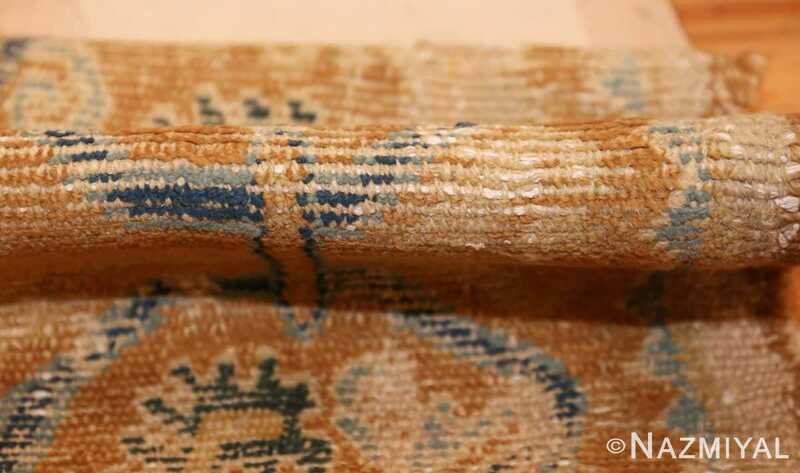 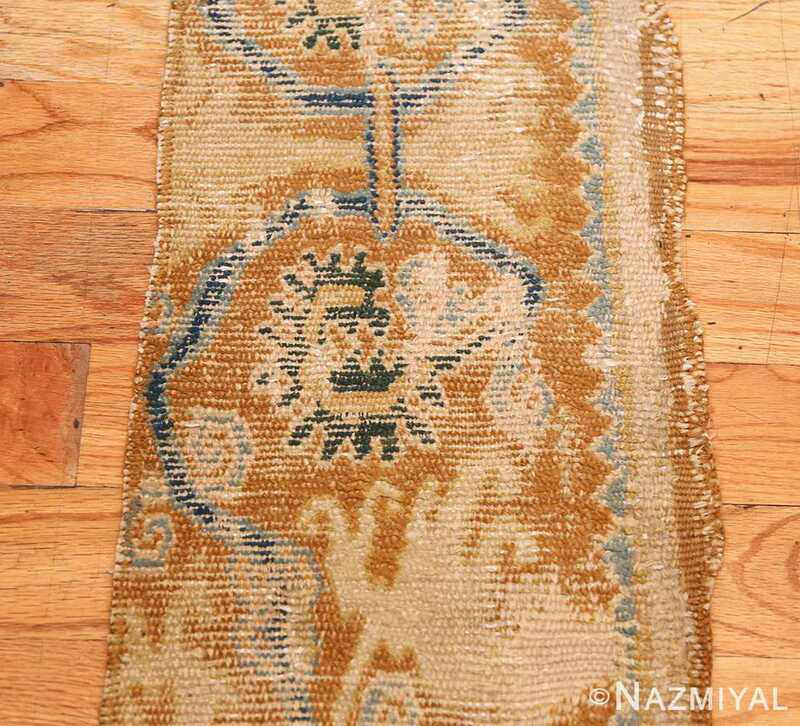 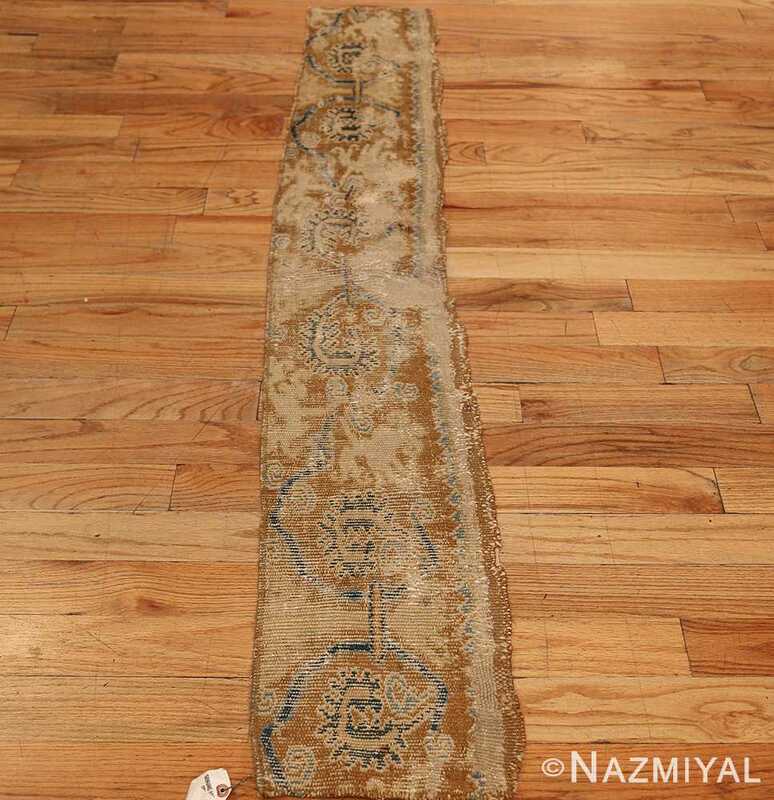 The single line of blue that forms the bulk of the detail in this antique carpet fragment is clearly a vine scroll detail: its sinuous form and the small leaves the grow from it in certain places both immediately suggest the sort of detail that often appears in the borders of large and classically composed antique carpets. The contrast in coloration between the blue vine scroll and the gold of the background color persists despite the passage of centuries. 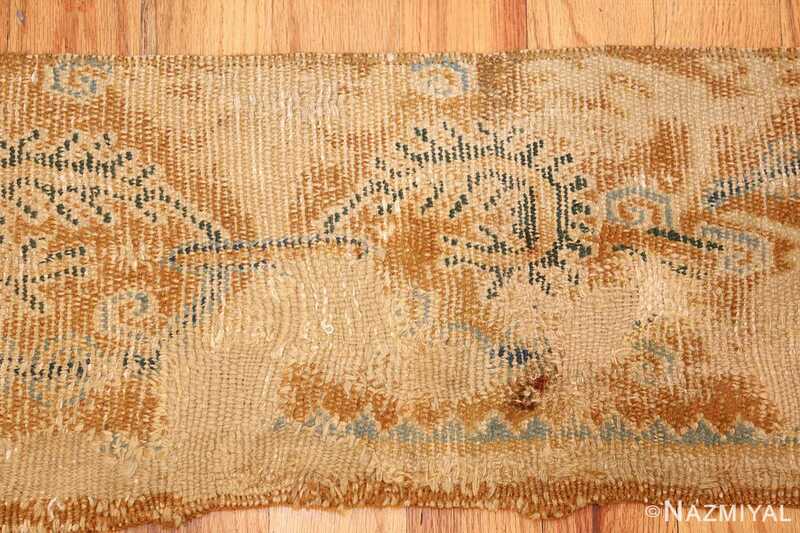 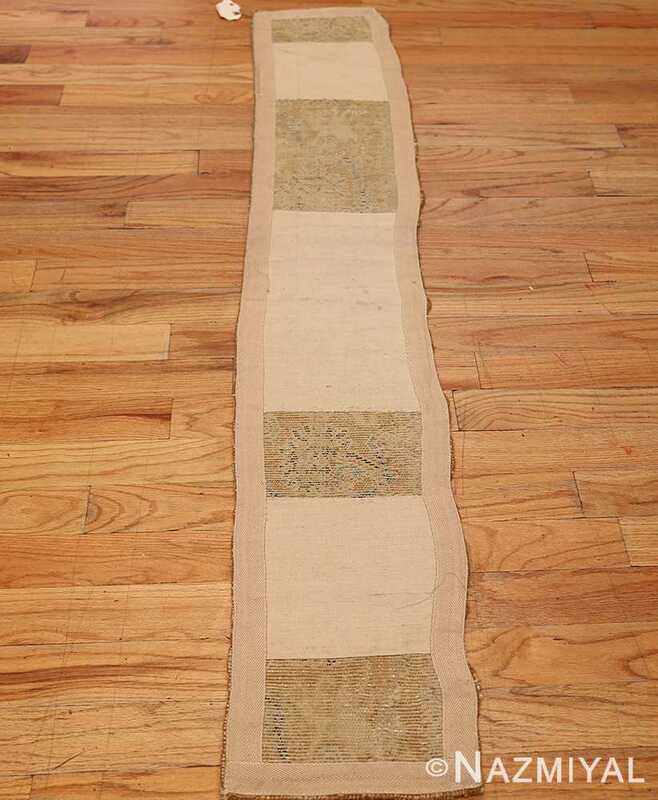 A beautiful example, this antique 16th century Spanish rug fragment is a stunning piece. 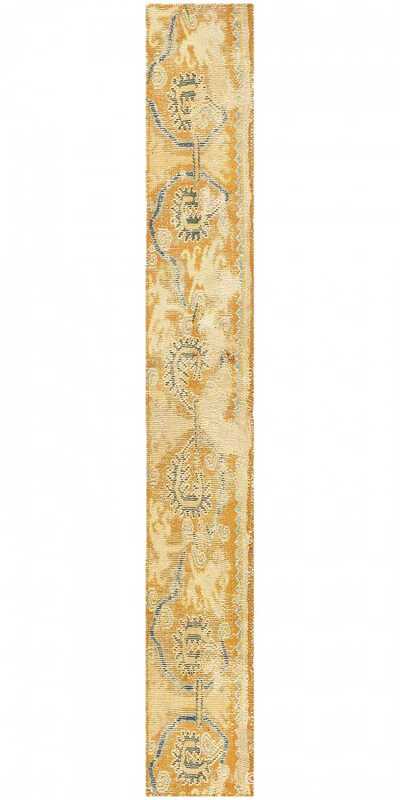 Woven in Spain circa 1920, this unique European carpet features an Oriental medallion with botanical spandrels and complementary borders featuring lotus blossoms and vinescrolls with flourishing tendrils. 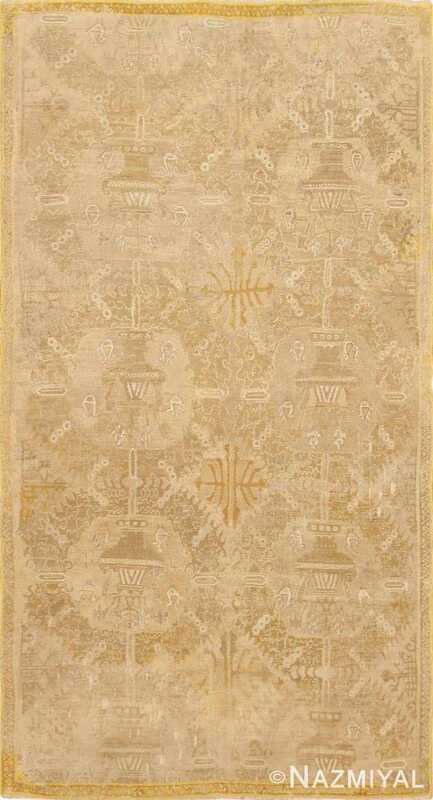 Created in Spain, this festive antique rug features a double star medallion surrounded by protection symbols and familiar figures drawn in a uniquely Spanish style.